Today (28 January 2013) was the launch of the Sunrise period for the new gTLD .club. The Sunrise period ends on 29 March 2014. 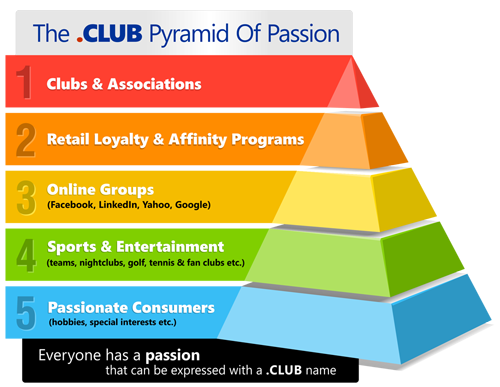 The .club TLD is targeted towards a wide range of markets as depicted in the .club pyramid of passion below. This unrestricted new gTLD is ideal for an social community, loyalty, fan or affinity group. 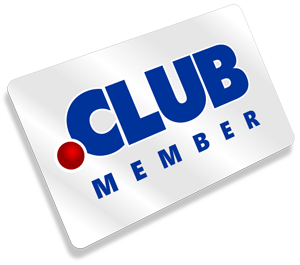 If you are a member of a club or operate any form of club this TLD may be an alternative to the current domain name extensions out there. The most prominent club that springs to mind is the loyalty club usually marketed through a club card or other loyalty program, the natural online extension would then appear to be a .club domain name. Email brandprotection@lexsynergy.com should you require assistance or advice on how to protect your trade mark within this new gTLD and others.